As you can see by the picture below, it's a pretty big book and it's fairly heavy as well (to be specific: 13.3” tall, 11.5” wide, 5.5 pounds), but the main impression you get from it is quality. I can't emphasize enough how nice the book is. As you start paging through the beginning you're shown full page color images of Madagascar, Peter Jackson's King Kong, Brave and The Chronicles of Narnia: The Lion, the Witch, and the Wardrobe. Given the size of the book it makes for a very impressive intro and sets the tone for the rest of the book. 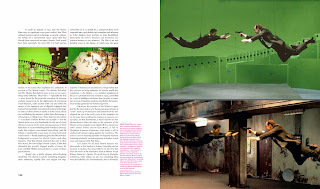 I'm a big fan of behind-the-scenes material and in the case of King Kong, you actually get a photo of Naomi Watts on a green screen set held by a physical version of Kong's hand (all green as well, full of green tape and match move markers), followed by a page showing the final CG render of Kong and Watts. 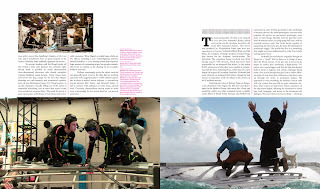 These types of before-and-after images are sprinkled throughout the book, either showing motion capture actors, set images and then final renders (Pirates of the Caribbean: Dead Man's Chest, Polar Express, etc.) or concept drawings, wireframes and 3D models (Cars, Chicken Little, etc.). It's a nice touch and supplements the written content well. 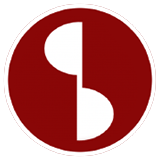 The main content is divided into 15 chapters, starting with Chapter 0 "Prologue: Virtual Realities". 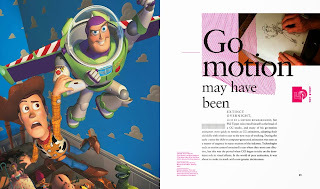 The prologue briefly outlines the early beginnings of CG in the commercial and feature film world with an early emphasis on how Toy Story changed the world of animation. Something that stood out to me was this piece of information (p.14): "The CG pioneer Ivan Sutherland concluded a famous 1965 paper, "The Ultimate Display", with these sentences: The ultimate display would, of course, be a room within which the computer can control the existence of matter. A chair displayed in... such a room would be good enough to sit on." Describing Star Trek The Next Generation's holodeck in 1965? Love it. It's overall a nice intro chapter, although I'm curious about the line "... it was relatively easy for anyone skilled in traditional hand-drawn animation or in stop-motion techniques to retrain as a CG animator." 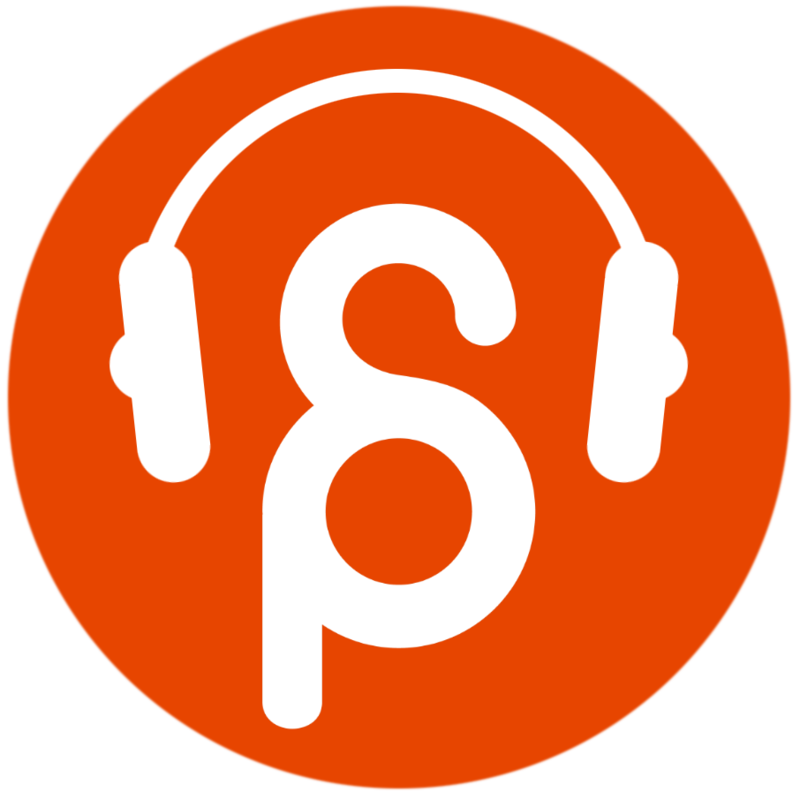 (p.18). I always hear stories about how difficult it was, no? Same with the line where it talks about animators as "... gifted individuals who had the ability to "act with a pencil"...", which is a fine description for 2D animators, but then it talks about CG animators and how they're "acting with a joystick". Joystick? I know I'm being picky but since the book covers CG animation and effects, shouldn't it be "acting with with a mouse and keyboard"? All that research and it gets the main tool wrong? Unless I'm totally not aware of how CG animators used to work or a chapter in the book that covers the usage of joysticks. Chapter 1 "Punch Cards and Paradigms"
Chapter 3 "Early Days At Pixar"
Chapter 4 "A Species Moves Towards Extinction"
Chapter 7 "Battle Of The Bugs"
Chapter 8 "In The Matrix"
Chapter 9 "An Industry Comes Of Age"
Chapter 10 "Heroes And Superheroes"
Chapter 12 "From Pandora To The Gare Montparnasse"
Chapter 13 "Franchises And Fantasies"
Chapter 14 "It's Like Nothing You've Ever Seen Before"
It's a lot of fun to read through the history of computer graphics, mainly because I'm a nerd, and each chapter does a really good job of giving you the most important information without being needlessly wordy or boring. Now, if you want to really nerd out on early CG history I recommend Droidmaker: George Lucas and the Digital Revolution, which is very detailed but only covers the early days, whereas The CG Story geeks out up until Life of Pi and Wreck-It Ralph. 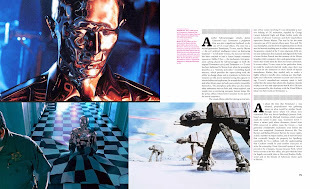 The book covers all the major milestones in terms of movies that advanced digital technology and the geniuses who made it all possible, starting off with Star Wars (Chapter 2), motion-controlled cameras, George Lucas, John Dykstra, Douglas Trumbull, Richard Edlund, etc. 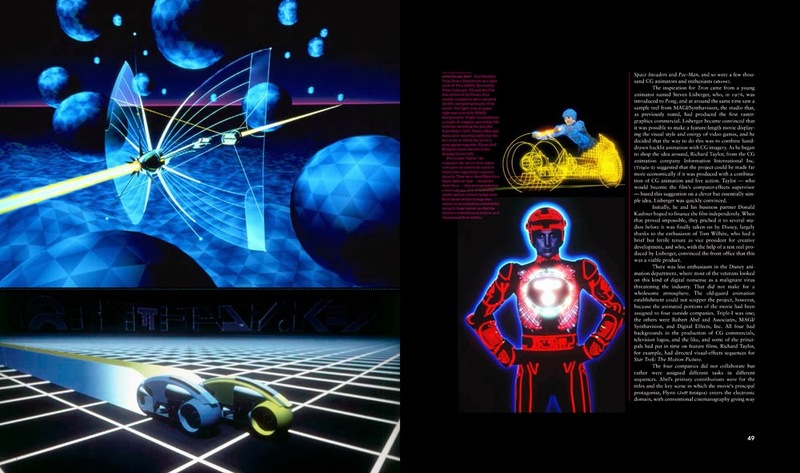 moving forward to Close Encounters of the Third Kind, Blade Runner and Tron. Basically my childhood. It's also nice to see that Bill Kovacs gets mentioned. 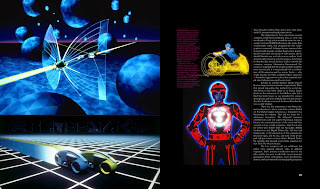 I was lucky enough to attend one of his Physics for Animators class at the Academy of Art and half the class time consisted of stories about the production of Tron. I loved it and he was really entertaining. 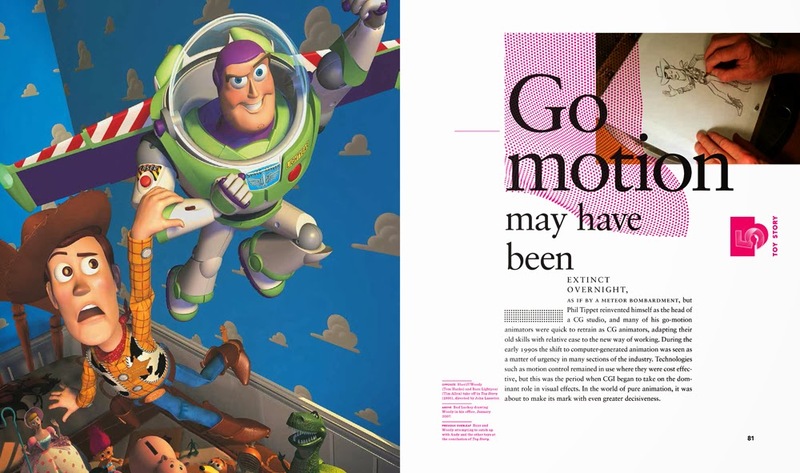 Some chapters are fully devoted to either a company (chapter 3 for Pixar) or movie (chapter 5 for Toy Story). Chapter 4 does put a special emphasis on Jurassic Park but I was hoping for a more expanded dissection of this, dare I say, game changing moment in CG history (... I so hate this term). Same goes for Gollum and Davy Jones. The movies they star in do get mentioned but those two characters really pushed the VFX for digital actors and again I was hoping for more ink devoted to them. Other than that, as mentioned earlier, a lot of major VFX movies get mentioned and credited for pushing the envelope (even though in some places the movies are mentioned yet not the companies responsible for the VFX (Transformers, as well as Inception and other movies for instance, which is odd since most of the material, credits and references are very detailed). 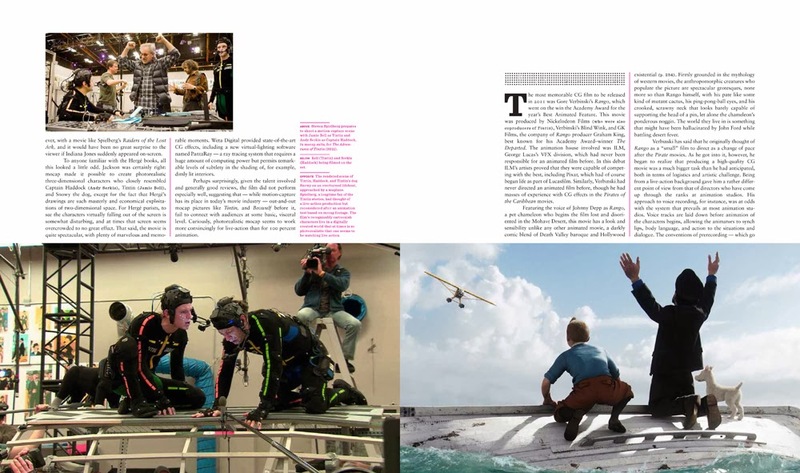 It feels like there is an emphasis on animated features and companies, especially Pixar, throughout the book (I highly recommend The Pixar Touch if you want a good book about that company and/or The Pixar Story if documentaries are more your thing; I really liked them both), but to go into detail about every major VFX movie would have doubled the size of the book. There is a small portion devoted to non US productions regarding animated features towards the end of the book. As a whole, I highly recommend this book if you want an interesting and beautifully presented overview of the history of CG animation and effects, not just content wise but also in terms of physical quality and presentation. [udpate]: more images can be found at Martin Venezky's site (the designer of the book). Nice review, this book is on my read list now.